Are you looking for quick and easy game day snacks? I have you covered with these Strawberry Jalapeño Lit’l Smokies. They are bursting with flavor and ready in 10 minutes. I kid you not! They are literally the easiest game day food that you can make and everyone will be asking what your secret is. If your house is anything like mine, football season kicks off a special time of year in the house. We watch the college games on Saturday and start early with the pre-game Sunday morning. We then watch the 1:00 and 4:00 games, and of course, the Monday night game. My husband would breathe and eat football if I let him. Luckily for him, I make sure to actually feed him as well. That’s more for me and the girls, but who’s keeping track, right? My girls even understand when football season starts because the snacks start getting made more often, which they love because they get to pick all day long. 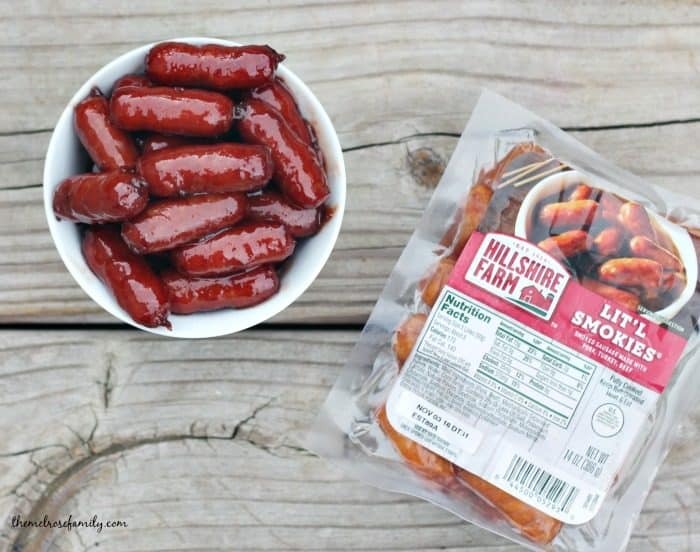 My girls love Hillshire Farm® Lit’l Smokies® because they taste just like a hot dog to them. I like them as well, but I prefer a little something with some kick and flavor. These Strawberry Jalapeño Lil’l Smokies definitely have the kick and flavor that I’m looking for. You can always find the 2 ingredients necessary to make them in my refrigerator. All you need are Hillshire Farm® Lit’l Smokies® and Strawberry Jalapeño Fruit & Honey Spread. Seriously, that’s it! They are the perfect game day snack hack that everyone needs know. Luckily, you can head to Walmart for all Tyson Foods Big Game Day preparation. 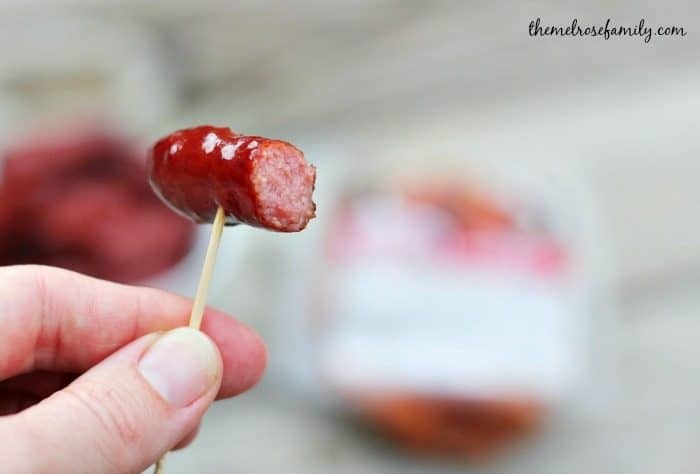 Any of Tyson Foods make the perfect game day snack hack. We clearly loveHillshire Farm® Lit’l Smokies®, but we also love Tyson® Crispy Chicken Strips and State Fair® Mini Corn Dogs. 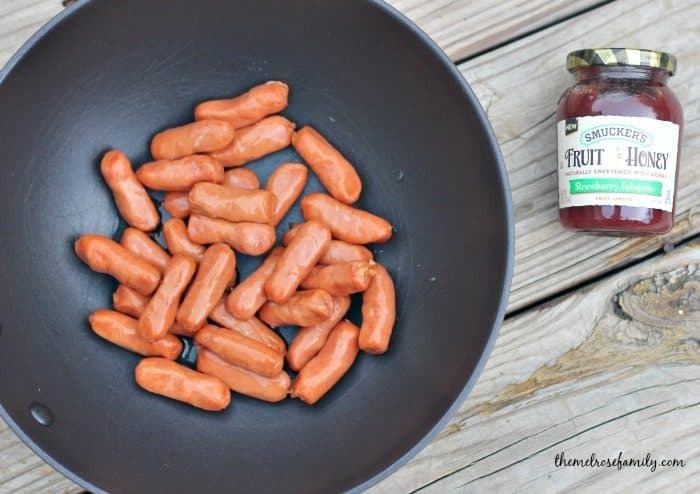 They are available in the frozen food aisle of Walmart and are definite crowd pleasers because you can throw something together as quickly as our Hillshire Farm Lit’l Smokies. Super easy and tasty! Plus, they are favorites of my kids. Can you tell? Someone had to jump in the back of the cart just to keep a better eye on them. 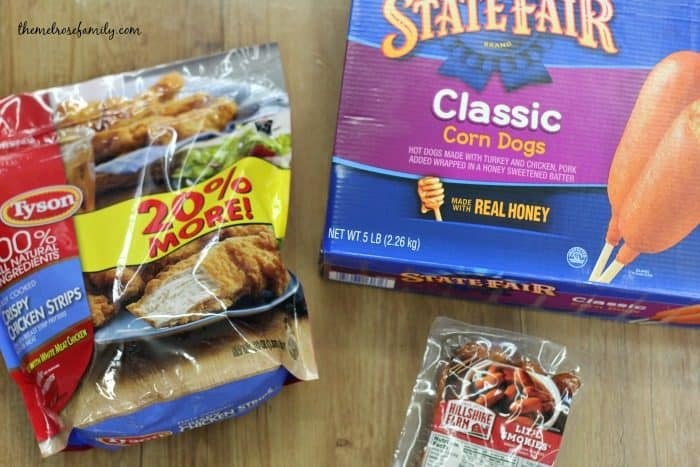 While you’re at Walmart, you can also pick up some other great snack hack items including: Jimmy Dean® Roll Sausage, Tyson Any’tizers, and Ball Park® Frozen Pulled Pork. 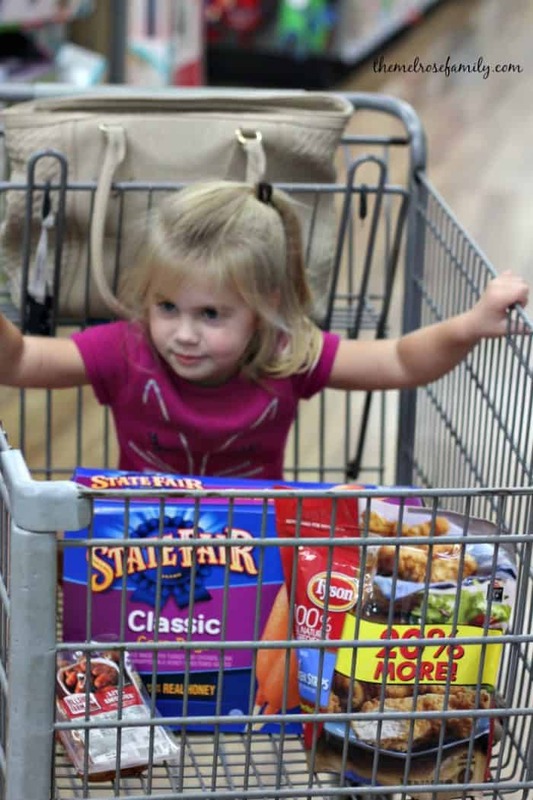 We always like to have two bonafide kid-friendly snacks like State Fair Corn Dogs and Tyson Crispy Chicken Strips. These are both great because they really don’t need any extra work. We also try to have two adult approved snacks as well. We usually try for something with a bit of kick like our Strawberry Jalapeño Lit’l Smokies and something with a bit more substance like our BBQ Bacon Meatball Subs. In need of a quick and easy game day appetizer? 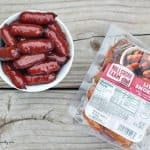 These Strawberry Jalapeño Lit'l Smokies come together in ten minutes and are bursting with flavor. In a sauté pan over medium to low heat, place the package of Hillshire Farm Lit'l Smokies. Pour the Strawberry Jalapeño Honey & Fruit Spread over the Lit'l Smokies in the pan. Cook for about 10 minutes so that the honey & fruit spread can adhere to the Lit'l Smokies.